Global Promo is a Leading Supplier of Promotional Coffee Mugs in Australia, our range is one of the most extensive available and we have the Largest Range of Print Options for Corporate Mugs, Photo Mugs, Printed Mugs and Logo Mugs. 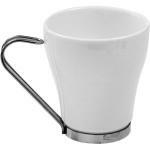 We offer Printed Promotional Coffee Mugs, in Ceramic Mugs, Porcelain Mugs, Bone China Mugs, Cafe Mugs, Tea Cups, Printed Mugs or Engraved Promotional Stainless Steel Mugs and Maxwell Williams Range Mugs. We can supply anything from a Logo Mug with a basic text or logo to a Photo Mug with a Photograph Quality Print and also Corporate Mugs with you company logo. We supply Promotional Coffee Mugs Australia Wide to Sydney, Melbourne, Brisbane, Adelaide, Perth, Newcastle, Gold Coast, Sunshine Coast. 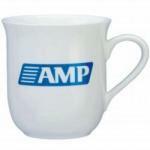 Printed Mugs are a highly effective and relatively cheap way to advertise company names or logos. With low manufacturing cost and high-reaching advertising potential, Printed coffee mugs are unsurpassable in terms of their cost effectiveness, posing perhaps the best value for money available in the modern marketing world. 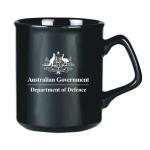 * The majority of mugs that we offer are also available for delivery unprinted. Just think of the advertising potential of an item that has virtually no limits in terms of where it can be used. Add to this the durability of Printed mugs which gives them a long advertising life, and you can begin to see the potential returns. A mug offers perhaps the most coveted advertising space available today. Knowing this, many shrewd business owners are beginning to reap the rewards of investing in this smart advertising strategy. You know the saying: running a business without advertising is like winking in the dark; you know you're doing it but nobody else does. So true! Advertising is powerful. The more effective an advertisement scheme is, the more powerful it is. What better way is there to create awareness for your company name or logo than using one the most effective promotional tools available: promotional coffee mugs. Don't miss out on your businesses potential. Start spreading the word today using printed mugs and you will begin to tap into the power of advertising, and reap the potentially huge rewards. 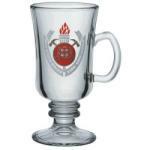 Printed mugs are used all across the world, in just about any social setting imaginable: in the home, business place, car, cafes and restaurants, pubs and clubs, university, sporting arenas, family outings, etc. Thanks to promotional travel mugs, there are now no limits for where mugs can be used, which translates to vast advertising potential. Promotional coffee mugs are made using durable materials that extend advertising life and also hardy printing options that protect logos from fading. They are also comparatively cheap when considering other forms of advertisement today, such as television commercials, newspaper and magazine ads, or billboards. 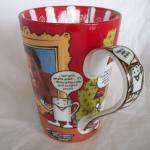 Furthermore, when you give someone a printed mug, the recipient appreciates being given a gift that has a use in his or her household or workplace. Purchasing printed mugs online is the easiest way to access this affordable promotional scheme and can save you a lot of time and effort in finding and purchasing the right type of mug for your company. This is important when you consider that your time is money! You can skip most of the hassle by obtaining expert advice from experienced promotional mug specialists who can assist you to decide on the huge variety of materials, colours, logo designs, styles, and manufacturing options available, and all within the budget you have to work with. So contact the friendly staff at Global Promo today for free quotes and specialist advice on using printed mugs to start effectively advertising your company name or logo. Promotional Mugs and Cups have the advantage that they will be used for a long time they are not a throw away promotional item, because printed mugs and cups have longer life span your logo mug will be in front of your customer longer, faithfully displaying your logo or corporate message, making it one of the most effective promotional products available today. Our Range includes Printed Ceramic Mugs, Printed Porcelain Mugs and even Printed Bone China Mugs in many different styles, sizes and shapes. 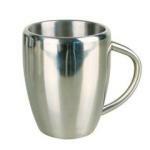 We also have a large Cafe Range as well as a Tea Sets and Stainless Steel mugs. Print Options Range for a budget direct print with text and solid colour logo's through to Photo Style Full Colour Printing that will WOW your customer. Your Promotional Mugs can be customised just the way you want them, the sky is the limit when it comes to creative printing ideas to make your mugs stand out from the crowd. 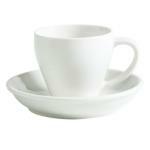 Our print processes are oven or kiln fired for that permanent result that will not wash off and is dishwasher safe. 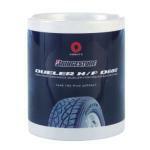 Delivery is already included with most of our pricing. Global Promo has one of the largest selections of Coffee Mugs and Cups available in Australia today and we deliver Australia Wide. 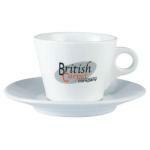 Our Range includes Promotional Ceramic Mugs, Ceramic Mugs, Personalised Mugs, Printed Coffee Mugs, Photo Mugs. 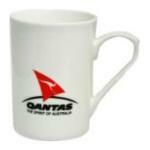 Logo Mugs, Printed Mugs, Custom Mugs , Porcelain, Bone China, Cafe Mugs, Stainless Steels Mugs or Maxwell Williams Mugs. New South Wales, Sydney and Sydney suburbs including Western Suburbs, Eastern Suburbs, Hawkesbury/Nepean, Liverpool/Bankstown, North Shore, Macarthur/Camden, Northern Beaches, Parramatta, Sutherland, Sydney City, The Hills, Newcastle, Wollongong, Gosford, Wagga Wagga, Tamworth, Albury-Wodonga, Coffs Harbour, Bathurst, Dubbo, Lismore, Tweed, Nowra-Bomaderry, Port Macquarie, Orange, Blue Mountains. Victoria, Melbourne, Mildura, Geelong, Ballarat, Bendigo, Shepparton, La Trobe Valley, Warrnambool, Frankston, Wangaratta. Queensland, Sunshine Coast, Toowoomba, Townsville, Hervey Bay, Gladstone, Brisbane, Cairns, Bundaberg, Gold Coast, Mackay, Rockhampton, Southport, Dalby. Tasmania, Greater Hobart, Launceston, Burnie-Devonport. Northern Territory, Darwin, Alice Springs. South Australia, Adelaide, Whyalla, Port Augusta. Port Pirie, Port Lincoln, Mount Gambier. Western Australia, Derby, Broome, South Hedland, Karratha, Newman, Geraldton, Kalgoorlie, Kalgoorlie/Boulder, Bunbury, Northam, Perth, Albany, Rockingham, Mandurah, Collie, Mandurah, Joondalup.